Selene – Welcome to The Horror Tree, and thanks for agreeing to this interview! First off, tell us a bit about yourself. Shannon – Hi, I’m excited to be here! I’m a mom of two, hiker, horror author, and over-thinker who loves research and freaky things. I live in Colorado Springs, in the foothills of the Rockies, and I love the rugged beauty of the area. I do miss the ocean, having always lived on the coast before I came here, but the mountains have claimed me, and I’m not sure I could leave them. Selene – How long have you been writing, and what draws you to the horror genre? Shannon – Like most of us, I’ve been writing since I was a kid, but I started writing for publication about four or five years ago, and that’s also when I started actively submitting short stories to magazines. As for what draws me to horror, I got hooked on it as a kid when I’d read historical “real” ghost stories and collections of horror short stories for middle grade, which mostly consisted of urban legend-type tales. I discovered Stephen King and Edgar Allan Poe in elementary school, and I was hooked. Selene – I bought a Kindle copy of your collection, Blue Sludge Blues, and read a few of the stories. The next couple of questions will deal with that collection. Do you write only short stories, or do you work in the longer form, as well? What about short stories appeals to you? Shannon – I’m actually shopping a novel to agents now, but my first love is, and always will be short stories. I can tell so many more stories and meet countless characters, all in less time than it takes to write a novel. It’s a bit of an addiction, really. There’s no roller coaster like the short story roller coaster of writing, editing, submitting, getting rejected, submitting, getting published, and having all these exciting book/magazine releases interspersed through it all. Selene – Your stuff has a very visceral quality to it. By that, I mean I was eating and had to stop! Stephen King famously said, “If I can’t terrify, I will try to horrify, and if I can’t horrify, I’ll go for the gross-out.” Let’s talk about the use of gore and other sensory descriptions (especially smell) in your work. Shannon – I like to try to engage the senses in my stories (whether I accomplish it or not is another story) for exactly that visceral reaction. The title story, “Blue Sludge Blues,” started out as an experiment in how people would react to an assault on the senses. It was also my attempt to stop holding back. I got to read the story in front of a room full of people at an open mic before I’d completed it. Hearing and seeing their reactions was amazing. I feel like engaging the senses further engages the reader. Or I hope so, anyway. The sense of smell is often tied together with memory, and it can influence the way someone responds when they’re reading, especially if it’s a familiar smell. Horror is about making people uncomfortable, often to make them think about things in a way they might not have before. Hitting them in the senses, the things that control their mental responses to a point, is a way of doing this. But I like to use the senses in positive ways sometimes, too. Sprinkling in positive sensory experiences can make it all the more extreme when things go wrong. Selene – Further to the “gore” question, there are different types of horror, from splatter up to stories that are more psychological, with little violence at all. How would you classify your work, and how do you create the “creepy” factor in a story? Particularly given a short story has much less room to build suspense than a longer novella or novel. Shannon – My earlier stories, which are the ones in “Blue Sludge Blues & Other Abominations,” leaned toward the more visceral, though there are also psychological horror stories in there (“Salvation Lottery,” for one.) Recently, I’ve been writing more psychological, quieter horror. At first, it wasn’t intentional; that’s just what started coming out when I’d sit to type. I’m now purposely pursuing that as a learning experience. I consider most of my horror to be what I term blue collar horror. It’s meant to get to the point and, hopefully, to entertain and satisfy the need for a monster, whether furry, tentacled, or human. Nothing flashy. After all, the first horror authors I read were King and Koontz, and I’d very much consider them blue collar horror (though I also think both are beautiful writers, and revisiting their older works lately, I’m really seeing that where I’d forgotten it existed). On creating the creepy factor, I try to think of something that gets a reaction from me, to begin with. If I can’t at least emotionally understand why something would be scary, I don’t want to write about it. It’s why I haven’t done a clown story yet. If and when I do, it will mean I can finally empathize with why a clown is scary. Right now, the fact that they scare other people makes me love them, but I don’t think I could scare someone with a story about them without that intellectual understanding of why they would be scary. The beauty of a short story is you have fewer characters to work with, and less expectation of story cushioning via sub-plots. I can get to the creepiness of a situation faster because I have to set the scene faster and simpler. There’s not a chapter to introduce the main character and their current situation: there are a couple paragraphs. Selene – I’ve noticed that several of your characters are unnamed, or only identified by a first name. Why is this, and is it intentional? How do you approach character creation? Shannon – I’m not sure it’s ever been fully intentional, but I find it can be disruptive to getting into the character’s head as a reader if there’s too much to identify them and set them too far apart from me. As a reader, I need to be able to empathize with them, but if I can identify with them, find some common ground, that’s going to draw me in even more. I want the character to matter and be someone the reader can feel for, and I want them to have a story of their own, but I also want the reader to be able to put themselves in their place, to feel afraid for them. For character creation, I usually jump in with the beginning of the character in my head (I’m a pantser), and then I figure out what their story is outside of what they’re about to face. Is this terrible thing happening to them something that has encroached on their current, normal life, or is it because they changed something, went somewhere new? Selene – “Where do you get your ideas?” is a common question. But at the back of Blue Sludge Blues, you include a “Story Notes” section that explains some of your processes. Have you had much feedback, and how are the story explanations received? Shannon –Surprisingly, I have heard privately from a few people who liked that I put the story notes at the end, and I think one of my reviews even mentioned it, so I definitely plan to do that again in the future. I’ve heard most about the notes on “What the Fire Left Behind,” because that was one of my most personal stories in the collection. I wrote it to exorcise the anxieties left behind when I fled the Waldo Canyon Fire with my family. It was a terrifying experience that still haunts everyone who experienced it firsthand, and I needed to write it out. The whole reason I did story notes in the first place is that I enjoy it when other authors do it. Often, in anthologies, the story notes are right there at the beginning of a story, and there’s something slightly more intimate about knowing what influenced or inspired the story, and what the author was thinking when they wrote it. It often gives more insight into the story itself and can change the meaning of it when re-read. Selene – The Story Notes on “The Salvation Lottery” mention you wrote the story based on an idea for an anthology whose deadline passed. I’m terrible with deadlines, and I do this all the time! (Write stories on a theme, but don’t submit because the call is closed). How do you deal with deadlines and the realities of writing on a time limit? Shannon – I’m actually someone who works best with a deadline (and not a self-imposed one, either). I thrive most when I’m most limited. I was one of those people who could write insane, A+ papers the night before they were due because the pressure made me work harder than I would have had I done it in advance. So far, I haven’t had many strict timelines or deadlines for writing, but I’ll say that the earlier in the process I see a story call with a deadline, the less likely I’ll write it or that I’ll like what I end up writing. So if I see a call now that’s due six months from now, even if it inspires an idea, it’s probably not going to happen. If I see a call tonight for something due two days from now, I’ll write that story and end up loving it. There’s something about the pressure. Those ones are more likely to make it into the final product than the ones I had months to work on, too. Selene – Let’s talk about story setting. Your blog mentions you live in Colorado, although the stories I’ve read of yours didn’t mention specific locations. One of the peculiar constraints I’ve found of the short story form is that there isn’t a lot of room to describe place settings or surroundings. How do you let the readers know where the story is set, or is it better to have an “every town” fictional setting? Shannon – There are some stories where I think the “every town” setting is best, because in horror the more you can make the reader feel like this could actually happen to them, the better. I’m a fan of normal settings versus, say, a cemetery, because someone’s more likely to be walking down a suburban street than frolicking in a cemetery. Therefore, it will feel more real with a more mundane setting. I do try to set a scene as far as the type of surroundings the character happens to have around them. Are we in the woods? If so, there will be trees, piney scents, birds chirping, leaves crunching underfoot, wind soughing through the leaves, etc. Are we in suburbia? There will be pavement and manicured lawns, the scent of grass clippings and grilled meat, other people’s voices drifting out of their windows. All of that can be set fairly quickly, and if it’s a familiar type of place, little work has to go into it to make the reader fill in the rest of the blanks. Selene – If I have this right, Blue Sludge Blues contains some previously published stories and some newer ones. Did you self-publish, and why did you go with self-publishing, instead of approaching a “traditional” or other publisher? Shannon – It contains mostly previously published stories, but I put in, I think, four new stories for those who’ve purchased the other publications I’ve been in. I wanted them to have something new to make it worthwhile. Some of the stories had been in magazines that have gone out of print, so the stories can no longer be found any other way, and I didn’t want them to disappear. Plus, there’s something special in having a book with just your name on the front. I was tired of going to signing events and having people look at the book that caught their eye first then call me by the editor’s name, and then having to explain the situation. I did self-publish for a couple reasons. One, I wanted to learn how to do it, to experience that process. Two, I wasn’t sure if there was a point to going through a traditional publisher with a bunch of stories that had already been published by someone else. Would they be interested? I can’t see why. And why let someone else once again profit off my stories, when that had already happened, minus whatever payment I got, with them the first time around? I’d like to embrace the hybrid style of publishing, where I go traditional for some pieces and self-published on others, and I’m really curious to see which ends up being the most rewarding. I’m too early in the game to say yet. Selene – A general “writer” question here. Since all writers are readers, what do you like to read? Shannon – I read pretty much everything, but the genres I read the absolute most are horror, urban fantasy, mystery, and thriller. I’m actually doing a study project with a couple friends where we’re working through a list of 100 Best Horror Novels put out by Nightmare Magazine a couple years ago. I’ve discovered authors I had no idea existed, and I feel it’s greatly expanding the type of horror I write and my understanding of horror, the definition of which has broadened since I started this project. I’ve stopped saying, “That’s not horror!” quite as much as I used to. Selene – You’re involved with a couple of local writing groups (Mountain of Authors, The Rocky Mountain Writing Group). Tell us about these groups and the workshops they offer. Shannon – The groups I’ve mostly been involved with are Pikes Peak Writers and Pikes Peak Pen Women (a local branch of the National League of American Pen Women). I was a volunteer for Pikes Peak Writers for many years, and even served on their board of directors, but quit last year so I could focus on writing. They hold an annual conference in April, which was once called the friendliest writer’s conference by Writer’s Digest, and they do a variety of monthly programs, like an open mic, open critique, a writer’s night for discussions about writing with any topic requested, Write Drunk Edit Sober, and Write Brains with a guest speaker, all of these monthly and free. It’s not just a writer’s group, but also a supportive writing community. Pikes Peak Pen Women is focused on those who are already published. They do a monthly luncheon with a guest speaker, and a lot of community outreach, such as a program doing poetry in the schools, where they introduce kids at poorer elementary schools to writing poetry and even getting it made into books at the end of the program. They also buy books to be distributed at these same schools. The interesting thing about this group is that, despite its name, it’s multi-focused on women in the arts. Membership consists of writers, musical composers, and artists/photographers. There are a lot of inter-arts programs to mix the various art forms together. This is an older organization, created when women weren’t allowed in various press clubs and men’s writing and arts groups, and it has a rich history. They have branches in different states, so anyone wanting to join could look up whether there’s a branch near them. I’m part of an online blogging group called Insecure Writer’s Support Group, open to any bloggers. They do a monthly blog hop where writers talk about their insecurities and offer each other support, and they now do an annual anthology members can submit to. I mention this group since it’s not limited to Colorado Springs, and it’s easy to get involved, no matter where someone is, so if you don’t have a local writer’s group, check out the IWSG. I’m fairly new to Rocky Mountain Fiction Writers, though there’s a lot of overlap between that and Pikes Peak Writers, but they also hold an annual conference and have monthly free and paid programming, and they’re a great group, too! Mountain of Authors is an annual event put on by Pikes Peak Library District. PPLD does a lot to work with the local writing community, and even provides space for Pikes Peak Writers to hold some of their events. The short version (too late) is that I live in an area with an embarrassment of riches when it comes to having a thriving writing community. I know not everyone is this lucky. There’s a lot to choose from here (and I’ve just scratched the surface—there are other organizations!) It’s a fantastic place to be a writer. Selene – Your blog mentions some pretty scary experiences, including almost being kidnapped, being in the car when a serial killer came after your mom (!) and being chased by a shark. Now I really want to know the story behind these details. Do you think these scary experiences have shaped any part of your writing interests? Shannon – I’m sure they have! I’ve lived a pretty interesting life, with lots of crazy experiences, and pieces of those experiences sometimes end up in my fiction. There are several stories in my collection that were inspired by real-life events, even if it was just a small piece of the real occurrence. I moved more than some (and less than, say, military families), so I got some incredibly diverse life experiences that people who’ve lived in one area might not have. It’s given me a different way of looking at things. Selene – The profile also mentions you’re a fan of unsolved mysteries. I enjoy watching conspiracy videos on YouTube, but my favourite mysteries are the ones collectively solved many years later. What’s your favourite mystery, and in a story, do you think it’s better to “tie up loose ends,” or to let the threads hang? Shannon – I do love unsolved mysteries! My grandmother (not the one who took me to horror movies had a bunch of books chock-full of things like the Bermuda Triangle and the lost city of Atlantis, stories we all grew up with. She also had a subscription to Fate Magazine. I especially love a good creepy mystery, like what happened at Dyatlov Pass? What happened to the Three Flannan Isles lighthouse keepers? There’s a blog challenge that happens every April called the A-to-Z Challenge, and sometimes people pick themes. In 2013, I chose Unsolved Mysteries as my theme and did posts on mysteries like those above, plus Natalie Wood’s death, Edgar Allan Poe’s final days, the Mary Celeste, etc. There was one for each letter of the alphabet, and it was a ton of fun reading up on those. Sometimes I like to leave threads hanging in stories, and sometimes it seems most appropriate to tie it up in a neat bow, though if I can do that and still leave some doubt, that’s the best. Selene – Another “general writer question.” What advice would you give a writer who is just starting out? Shannon – My advice would be to read a lot and write a lot, but it would also be to SUBMIT. The number of people I know who have been writing as long and longer than I have, and who have not sent in anything for submission in all these years is staggering. Put yourself out there! Harden yourself to rejection, because it’s absolutely not personal. You can’t succeed without putting yourself out there, even though it means risking failures (yes, plural). Also, never stop learning. 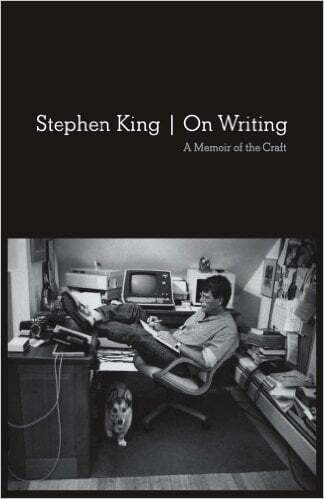 Even Stephen King has things he can learn, and he’s been in this game for decades. Like any other job, you should always be learning how to do it better. If you can, find a local writing community. If you don’t have one, consider creating one. Your local library might help you out. Oooo, and another one: don’t pass up opportunities just because you’re scared. The yeses I’ve given have led to so many wonderful things, like writer’s groups, conferences, speaking gigs, signing gigs, podcast interviews, and invitations to anthologies. Try to push yourself to read new things and to write the things you aren’t most comfortable with. And if you start to lose your passion, rediscover it before moving on. Selene – What’s next for you, and do you have anything else you’d like to share with our readers? Thank you for taking the time to answer my questions today. Shannon – Thank you for the great questions! Currently, I’m working on a horror comedy novella about killer squirrels, and I’m still actively writing and submitting short stories. I’m looking at putting together a craft book on short stories, and I hope to put out a collection of short stories either annually or bi-annually as long as I have the rights back on enough stories. Also, I’ll be a guest on the Horroraddicts.net podcast July 21, and a panellist at Denver Comic Con in June, and I’d love to meet anyone attending.